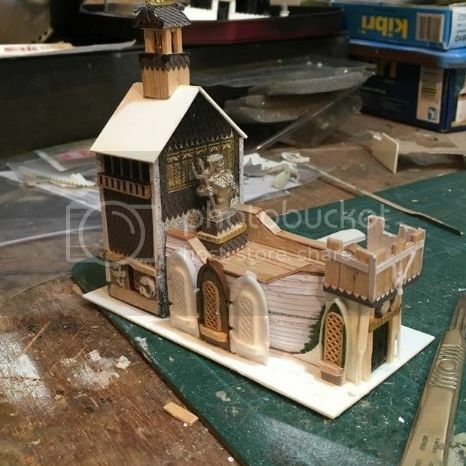 I've always been a big fan of the background for Warhammer, so a few years back I started modelling some 10mm temples for Warmaster scenery. Right now, 1 of them is finished and the rest are WIP. 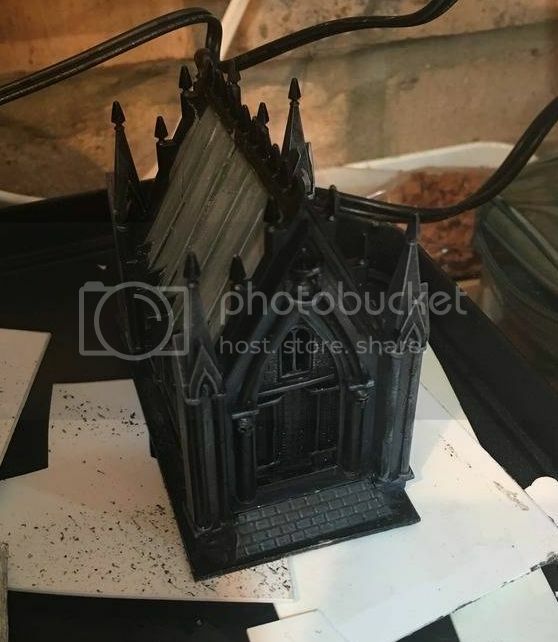 I've got vague plans for a Temple of Verena and Shallya, but like everything hobby-related.. I should probably finish these first. Hey, nice idea to create a temple for the various gods ! I love the Manann one. Looking much like a ship. Well done ! Thanks. 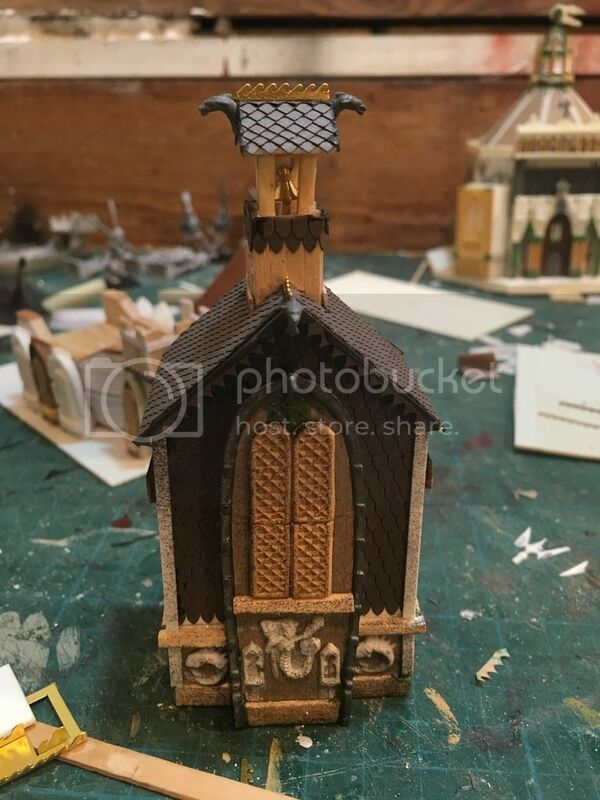 I carved a partial ship out of balsa and then built onto it with little boats and wooden towers - exactly as I figured the temple would have been constructed from an old ship. You may be glad to hear that it was your excellent orc village project that inspired me to get back into building these! Very happy to know i could help your inspiration ! I like the Taal structure too. I had passed too quickly on it. It looks sobre, but not orcish made or what. De finitively a human structure, and that was not as easy as that to do. 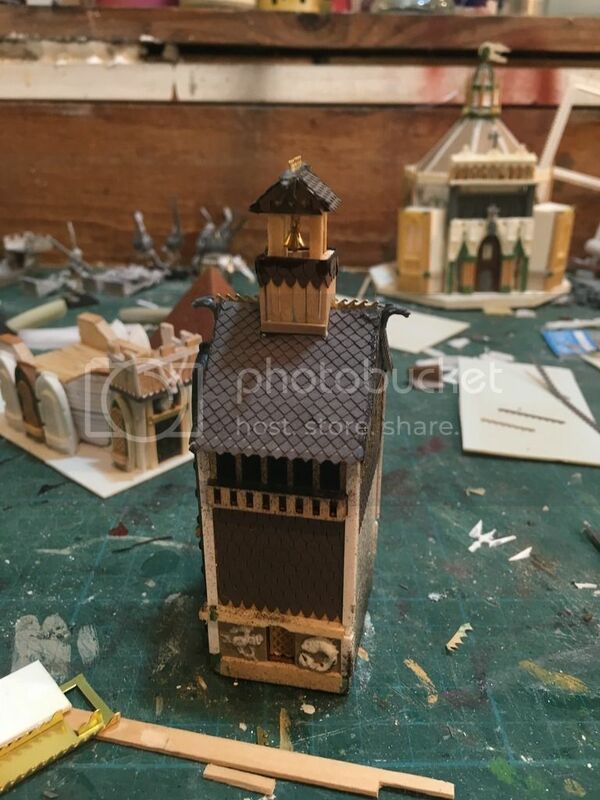 I really like the temple of Manann, it is a little explored concept in all WH games but definately blends in well with what GW did with Empire architecture. For the Taal temple, I would really like it to be surrounded by the wild... Thickets, giant trees overshadowing the place, the temple being the heart of the forest instead of on a clearing. I do understand that it would make it hard to see your lovely building, though. Thanks. 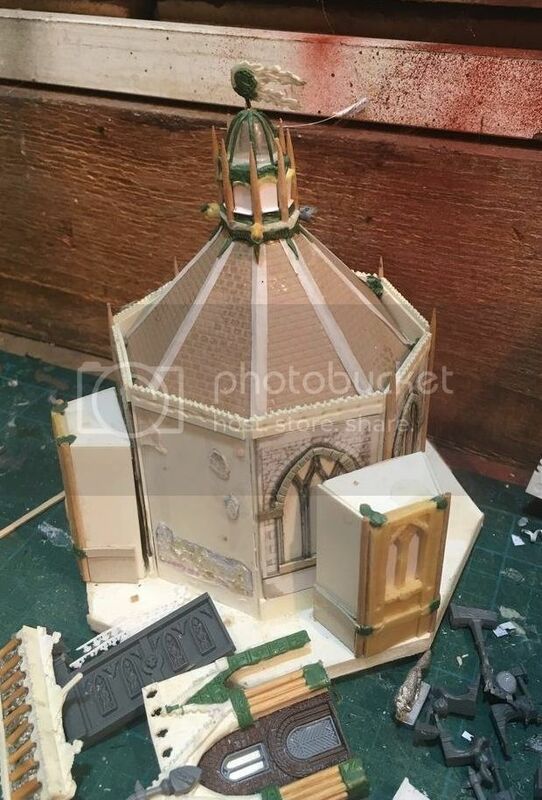 I did a little more work on the tower for the Temple of Manann - finished tiling the roof, added brass wave ridges and dolphin gargoyles. 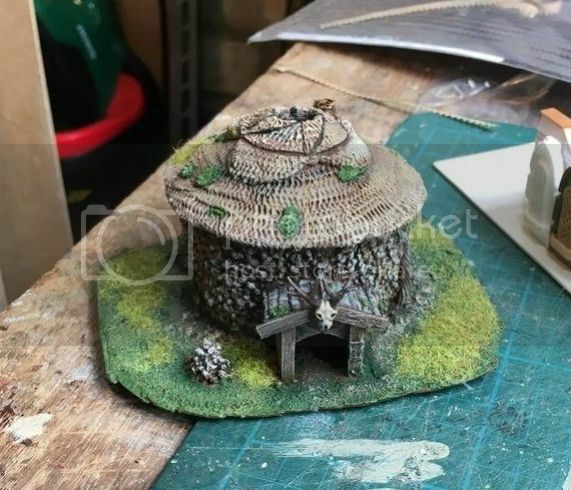 As for the Temple of Taal - when I've used it as terrain I surrounded it with dense woods to try to create the effect you mention. I could add some more thick vegetation to the base.. there's a bush and a tree growing up one wall, but it's all relatively tame for a god of the Wild! I LOVE your dolphins on the Manann temple. Excelent idea ! And the tiles looking like fish scales are just a perfect choice. 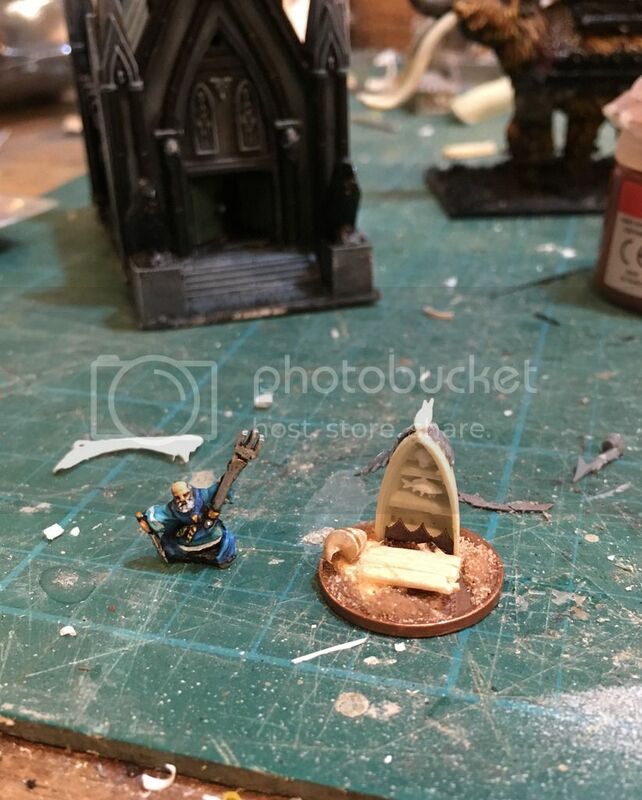 Here's a priest of Manann with a scenic base I'm making for him - a little beach-side shrine to his watery god. He'll count as a wizard. Scultpure details are amazing ! Where did you had this shrine ? I can see fishes ! It will make a wonderfull wizard. Remind me about some brass ivy I've got that would be spot on as an addition to the Temple of Taal.